In HBO’s “Sharp Objects,” something’s not right in the small town of Wind Gap, Missouri. The drama stars Amy Adams with a Southern accent as Camille Preaker, a reporter who returns to her hometown to investigate a string of murders involving young girls. But as Camille dives deeper into the psychological puzzle, things start to hit a little too close to her own disturbed past. “When you’re here, you’re my daughter,” Clarkson’s character tells Camille, interspersed with young girls in front of headlights and Adams’ character holding a razor blade. “I didn’t come back to cause any problems,” Camille responds. Yeah, this dynamic has to be more complicated than it seems on the surface. 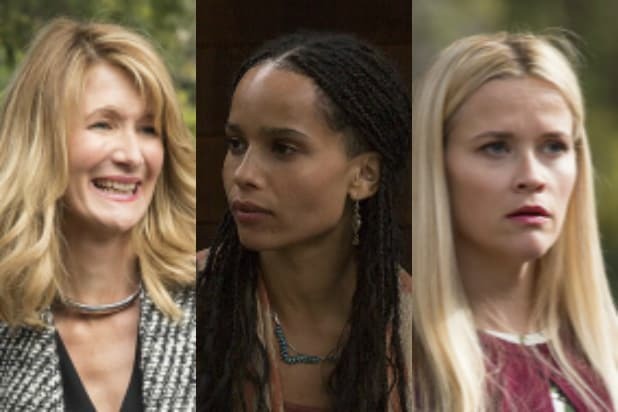 “Sharp Objects” is based on “Gone Girl” author Gillian Flynn’s novel of the same name, and is directed by “Big Little Lies” alum Jean-Marc Vallee. The eight episodes were written by Flynn and creator Marti Noxon (“Dietland,” “Buffy the Vampire Slayer”). Chris Messina, Elizabeth Perkins, Matt Craven and Sophia Lillis also star alongside Adams and Clarkson. “Sharp Objects” premieres on HBO July 8 at 9 p.m.